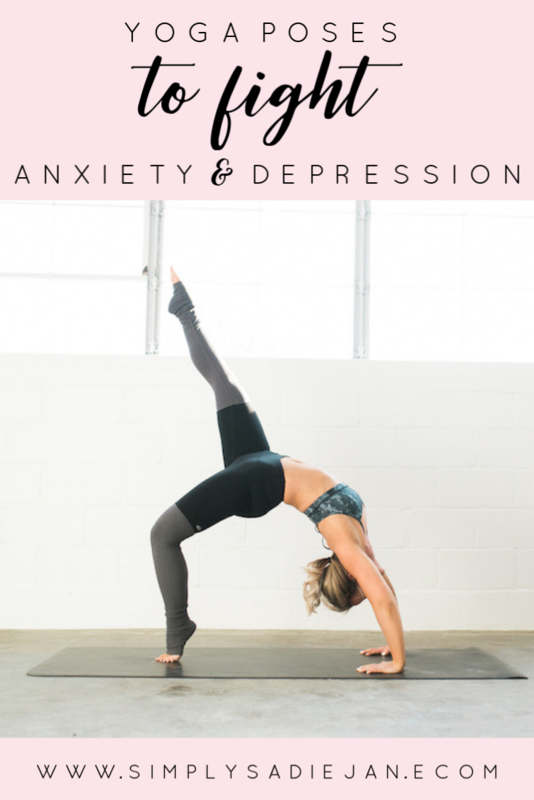 Last week I shared a post with 20 of my tips to fight anxiety and depression during the wintertime. Depression isn’t something I struggle with and I feel very blessed to be able to say that. I have some family and friends that do though, and I know it can be a debilitating and agonizing thing to go through. I do, however, struggle with anxiety, especially during these cold winter months with young kids. If you have little humans you know it can be hard to juggle them with the cold and snow. You often feel cooped up, alone, or anxious to smell that outside air or feel it on your arms and face for longer than 5 minutes! The cold, the snow, and the freezing wind…it can make a girl go crazy!!! Most winters, I treat my crazy behavioral twists (that’s what I like to call them) with exercise like CrossFit or running. Those endorphin’s do a body good! But last year, I started practicing yoga at least once a week, and wow, GAME CHANGER. There is something magical about centering yourself and forcing yourself to just sit. In one position. And train your mind to fight through the anxiety of wanting to move. Not only that, but yoga releases emotions for me that I never thought possible. It’s incredibly healing to place yourself on your yoga mat and become in tune with every part of your body. Truthfully, it’s been a mental lifesaver for me. WHICH IS WHY I MUST share it with you. I have learned so much over the last year and I’ve put it all together into a great course for you! This course takes you through both beginners and advanced yoga flows. Click on the image below to get access to this amazing class! You don’t need to own a yoga mat, or even workout clothes. Grab a towel and some lose fitting clothing and you are set. I challenge you all to do these poses this week! I realize some of them are more advanced, but those are some of my favorite and they help me the most with my anxiety because they force me to focus and concentrate. Each pose you see should be done on each side. So, for example, the picture below. After stretching the left leg over the right, bring both legs back into center, squeeze them into your chest, and repeat on the other side, but instead place your right leg over your left and gently lay them off the left side of your body. Hold each and every single movement for at least 30 second and while doing so, breathe deeply in through your nose and out through your nose. Maybe you won’t get through all of them, but pick at least 5 to do right before bedtime or right when you wake up. I dare you to try some and let me know how you feel.